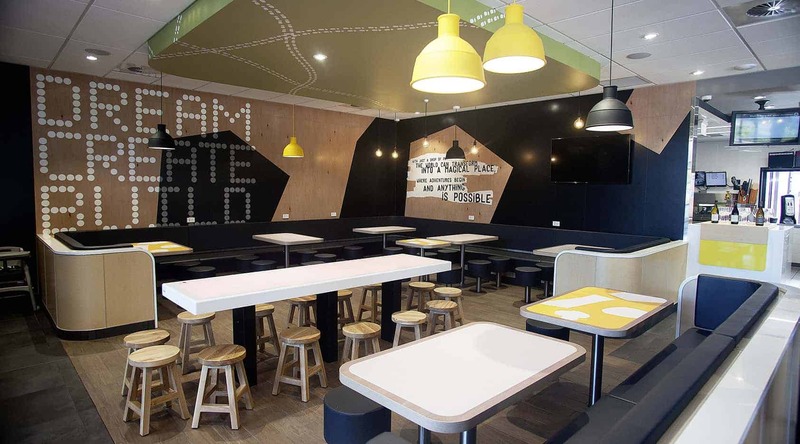 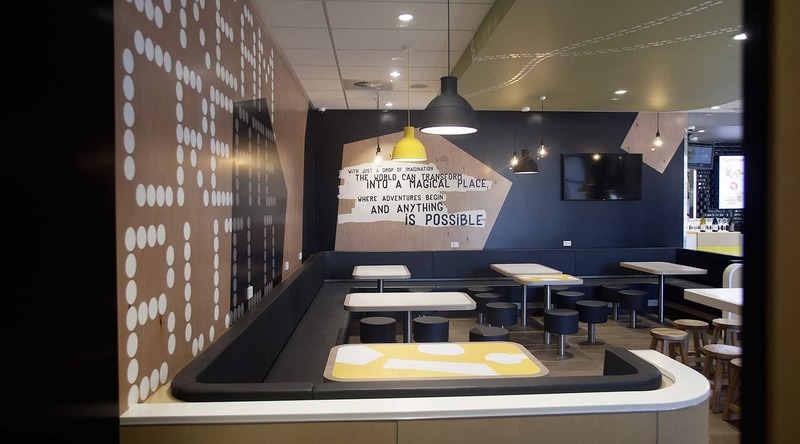 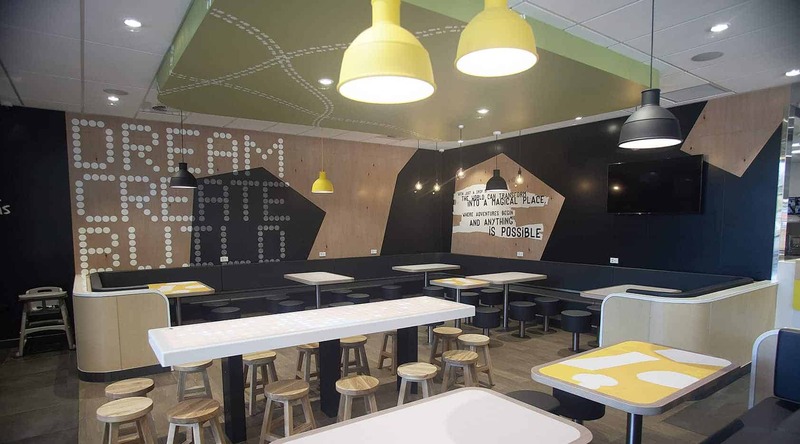 McDonald’s have set a new bench mark in terms of experience, technology and styling with this project. 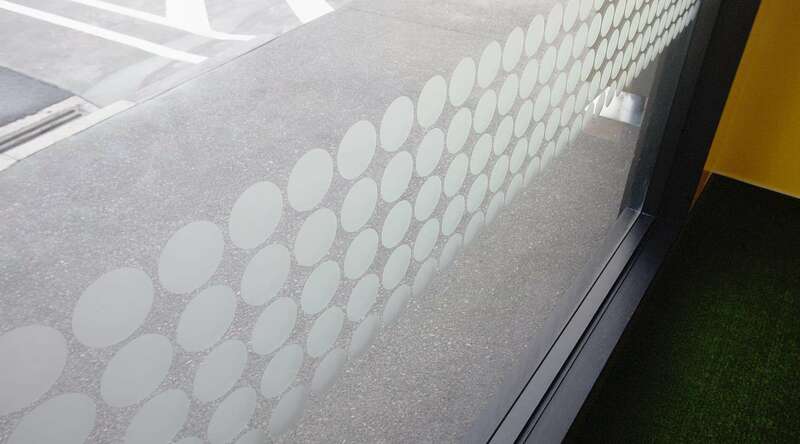 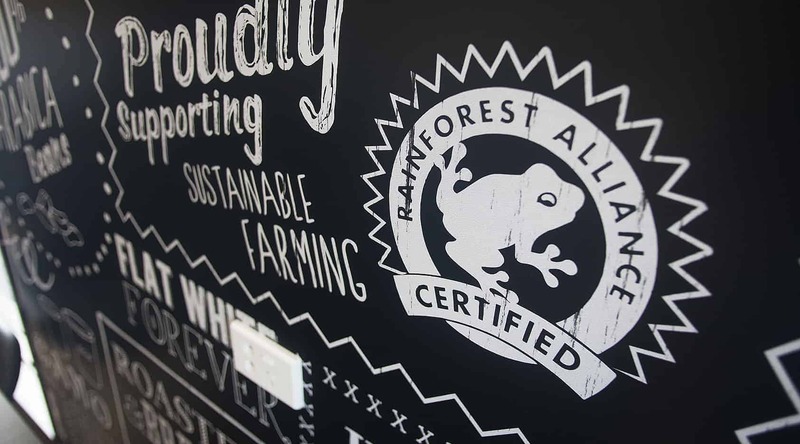 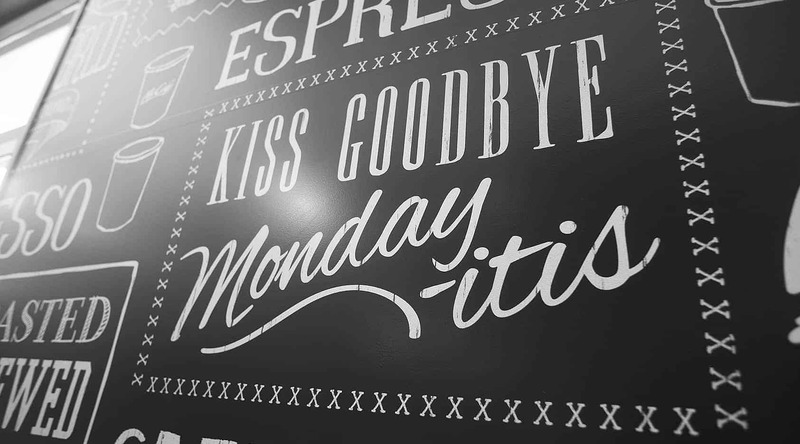 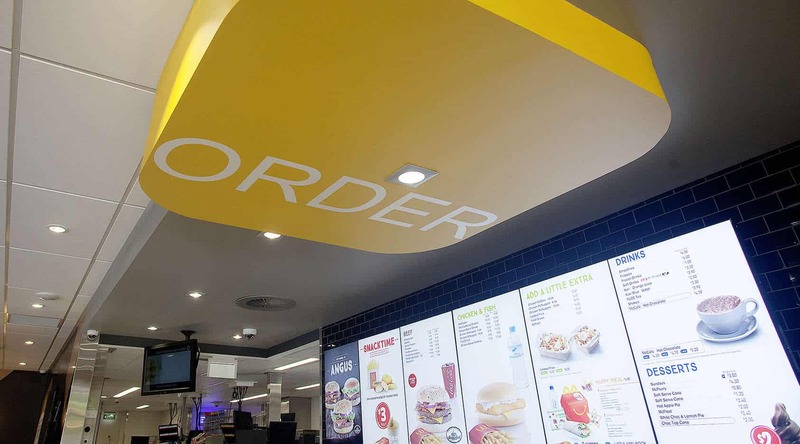 We manufactured and installed internal elements which included digitally printed wall graphics, acrylic logo marks and wayfinding components. 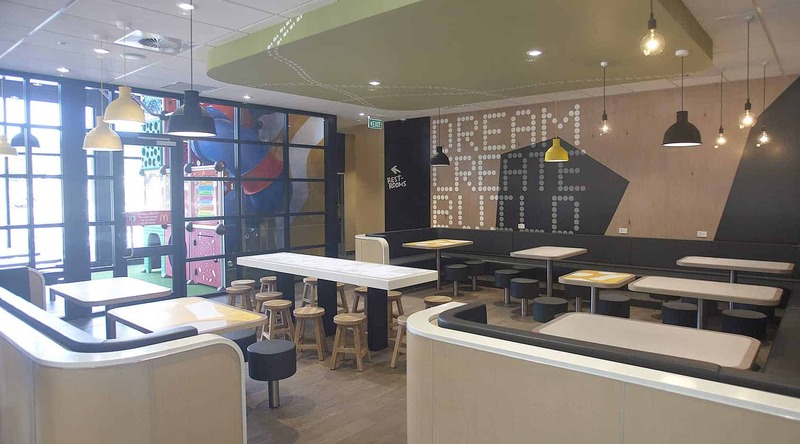 We worked closely with HQ, the franchisee and franchisor, design firm and construction company to insure the work was completed to the highest standard within a short time frame. 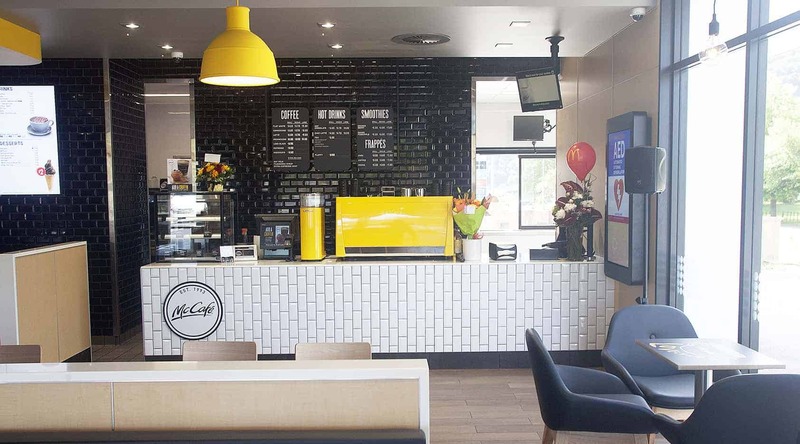 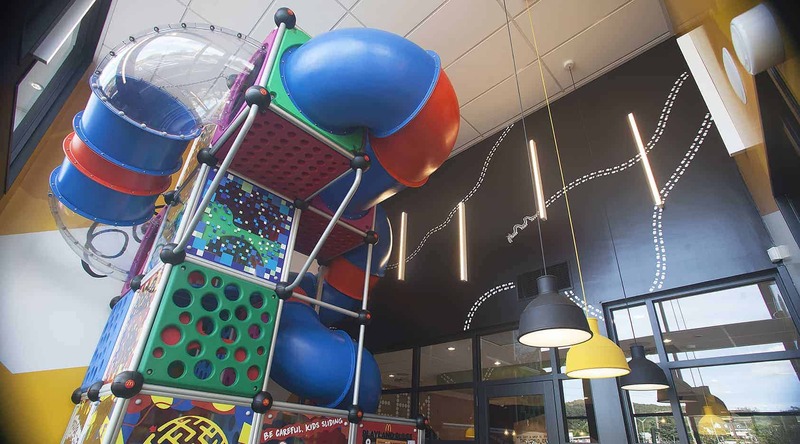 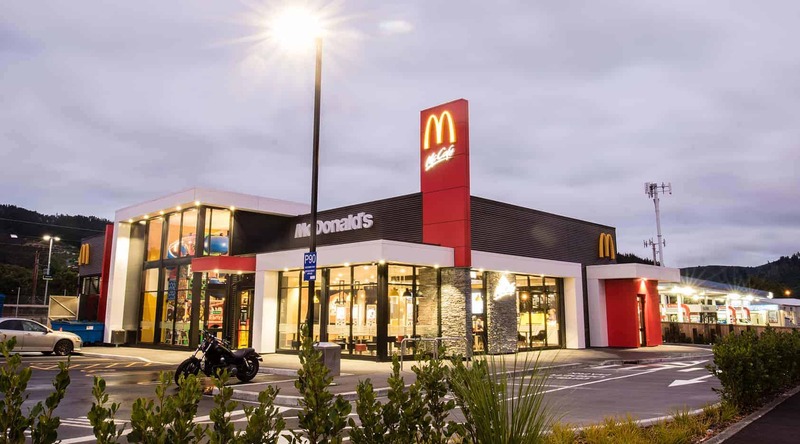 The finish results is something we are really proud of and show cases McDonald’s drive to create a new experience for its customers.